Friends videos highlight the work of student filmmakers that we have collaborated with to share important environmental messages. Enjoy the films! 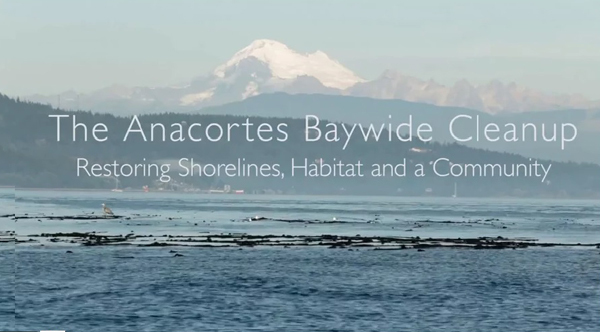 This short documentary provides an overview of the Anacortes Baywide Cleanup program being conducted by the WA Dept. of Ecology in partnership with the Port of Anacortes, City of Anacortes, and local tribes. 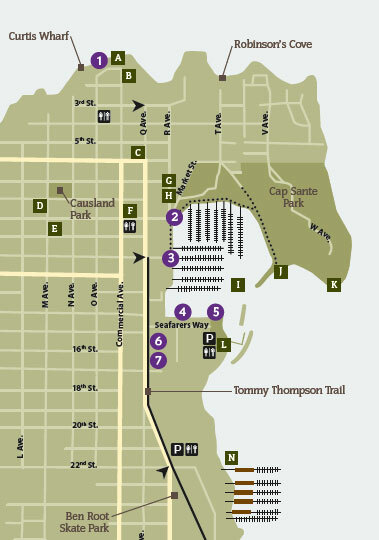 During the early 20th century, Anacortes was primarily a mill town. At one time 13 mills operated along the shoreline of Fidalgo Bay. In a nod to Calvin & Hobbes, Anacortes filmmakers Lucas and Henry Holgeerts tell the story of 9 year old Matthew and his best imaginary river otter friend, Reg. Forage fish are a critical keystone species in the marine food web. This film sponsored by Friends of Skagit Beaches and WA Dept. of Ecology highlights the importance of these small fish to the ecology, economy, and identity of the Pacific Northwest. The protected marine reserves in Skagit County are the foundations of a vibrant ecosystem that supports eelgrass, forage fish, salmon, and herons. At 1,930 kilometers, the Pacific Northwest Trail is the newest long haul trail adopted into the National Scenic Trail Act in 2009. The trail stretches from Glacier National Park in Montana, to the Washington coast. But decades after its inception, trail workers are still struggling to establish a safe route for hikers. Seriously, don't move to Houston. Join us in the fight to save Puget Sound. Forage fish are the backbone of a healthy Puget Sound. They provide the food base for endangered chinook which in turn are relied on by the endangered Southern Resident Orcas. Little Fish + Big Fish = Orca. Salmon Confidential is a new film on the government cover up of what is killing BC’s wild salmon. When biologist Alexandra Morton discovers BC’s wild salmon are testing positive for dangerous European salmon viruses associated with salmon farming worldwide, a chain of events is set off by government to suppress the findings. Friends has enjoyed partnering with some of the talented young filmmakers working with the Planet Magazine. To see more of their work visit this site.